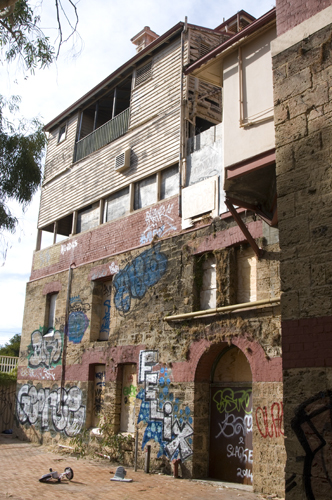 The neglect by the National Trust of the historic former Royal George Hotel in East Fremantle is a bloody disgrace and shows the organisation’s dismal failure of protecting the heritage buildings in it’s care. The Royal George saga has been going on for many years, when artists were forced to move out and the building has been vacant since, making it a target for vandalism and homeless people. Every now and then we are assured that yet again new developers are looking into the viability of renovating the building and making it habitable again, but it always turns out to be hot air and empty promises. The Town of East Fremantle appears powerless to force the issue and demand that the site be renovated and activated. It is an utter disgrace and something needs to be done at state and federal level to force the issue because the status quo is no longer acceptable and is endangering the beautiful heritage-listed building. What a difference community outrage and bad media makes. The WA State Government and National Trust obviously did not like the criticism they received about the neglect of the old George Hotel in East Fremantle so they quickly got the graffiti removed and painted some of the hoarding red. That is not good enough though because the community wants to see the beautiful heritage building activated and put to good use and we don’t want to wait another ten years for it to happen. There is a petition going around for the government to look after the building better, so go and sign it. For Freo people they can go to Simone McGurke’s office in Market Street opposite the post office. The Fremantle Herald reports today that the W.A. 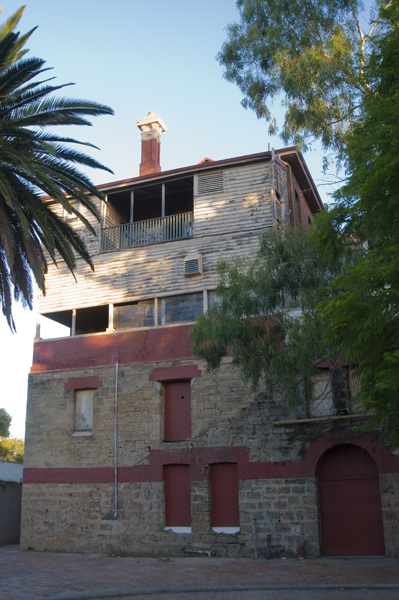 government wants to sell the historic Royal George Hotel in Duke Street, East Fremantle, after the National Trust allowed it to fall into disrepair as it failed to find funding to repair it and get tenants for the heritage-listed building. National Trust CEO Tom Perigo was alway a bit too over-confident that he would just have to ask and Lotterywest would give him the millions he needed to repair all the buildings the government agency took on, but reality was far different. I hear Perigo has now vacated the CEO job and has been appointed a consultant to the National Trust. The George Street area is very gorgeous and the old hotel is a real feature there that deserves much better than the neglect and vandalism it has received. Time will tell if a private operator will look after the building well enough and make parts of it open to the public.